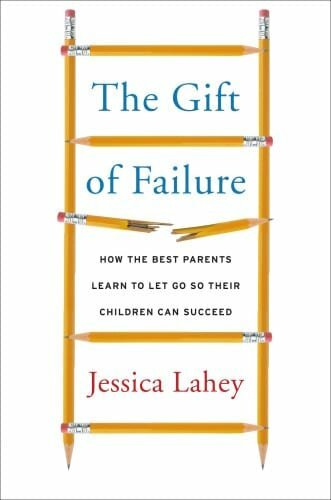 She Wrote the Book on Letting Kids Fail. But When Her Son Applied to College, Forgot Her Best Advice. My shtick is calm, cool, and collected parenting. For the past four years or so, I’ve been one of those parenting writers reminding readers to let your child fail, to parent not for the moment, but for the long haul, that middle school failures can lead to medical school success. My shtick became a bestselling book, a crammed speaking schedule, and a job writing articles that get lots of hits and shares because a calm, cool, and collected approach to parenting sounds so darn appealing, so reasonable, so common-sensical. And then, this year, my son started looking ahead to college, and my shtick hit the fan. I’d been warned this could happen. Older, wiser parents whose children had successfully grown and flown warned me about the perils of the college application process in graphic detail. Oy, the anxiety, they kvetched. The deadlines, the cost, the panic and stress, they lamented. I heard it all, and I really thought I understood. But when the full impact of college application season hit our family, I became incapable of reason, and forgot my own best advice. My oldest son, Ben—my firstborn, my baby—is eighteen; a legal adult as far as the United States government is concerned. He can go to war, he can vote, heck, he can purchase cigarettes if he is daft enough to do so. A nurse recently informed me that because he’s eighteen, I don’t have to sign his medical forms or accompany him when he has his wisdom teeth pulled. He will, however, need someone to drive him home when he’s distracted by unicorns in the road, so I’m the designated driver. Plus, a sedated teen is a compliant teen, and I wouldn’t miss a morning with compliant Ben for anything. My point is, Ben does not need me for much anymore, and that includes the college application process. He researched schools based on his interests and strengths and made a solid list of candidates. He scheduled and sat for the tests he needed to take. He planned the visits and the interviews and the information sessions. My job, then, is that of support staff: to tag along on tours, listen, and try not to embarrass him. Simple rules, and yet I have managed to fail miserably. I nagged him about his common application essay, even when I knew he had it well in hand. I nagged not because I thought it would help him, but because it made me feel better. I repeatedly pressured him to apply to schools he didn’t love, not because they were right for him, but because they were right for me. When it came time to visit the schools he’d selected, I vowed to do better. We arrived at the admissions office for our information session and subsequent tour on a beautiful spring morning, when New England is still gray, but just beginning to thaw. We were both anxious about the first visit, each for our own personal reasons. Ben couldn’t wait to step foot on campus and envision his life at college, while I knew I’d be an emotional wreck; alternately mourning the loss of my baby and mooning over glimpses of the man he’d become. What I chose not to share with Ben, however, was the fact that College 1 was the college I wish I’d attended. However, on the morning of the visit, I pushed down my impulse to use my child as a way to re mediate my own personal regrets, secured a cup of coffee, and found a seat in the back of the information session. I was quiet and unobtrusive for an entire hour, but when the student presenters introduced us to our tour guides, I realized our guide was one of my former students, a kid I adore. I tried to keep my cool, I really did. But I was so proud of my former student for being so grown-up and capable of walking backwards for an hour without tripping that I monopolized the tour, peppering him with questions and pointing out all the interests he had in common with my son. I promised Ben I’d do better next time. I did, in fact, do better next time, but Ben says I’m not allowed to count this visit toward my score total because we did not finish the tour. By the time our student tour guide finished enumerating her many, many academic and personal achievements, and the many, many reasons the applicants would be lucky to gain admission to attend College 2, Ben and I had formed a tacit agreement to escape. Ben did not want make the tour guide feel bad by conspicuously fleeing the tour, so we hung back and found cover when the group turned a corner around a dorm. We waited until her shrill, boasty voice faded into the distance, then we circled around the back of the building, past the dumpster, and toward our car. I am pretty sure our getaway went unnoticed. In my defense, I was trying to stay out of Ben’s way. He has another interview scheduled in a couple of weeks, so I have time to re-assess my behavior and find a way to keep myself occupied and out of trouble. I may not have handled Ben’s college search perfectly, but I have enjoyed every minute of it. Sure, I’ve had to watch my son endure rejection, self-doubt, and stress, but I have also watched him gain confidence, a sense of identity, and self-worth. As the college catalogs pile up on his desk, so too, do the possibilities, adventures, and options. The long drives on rural back roads and meals in roadside diners, have given me what I yearn for in these last months of his childhood: time to scrape the bottom of the conversational barrel and talk about small things that don’t usually rate a mention in the midst our busy lives. When he drives, I sneak peeks at his face, looking for vestiges of the baby I raised and marveling at the man he’s becoming. On this next trip, I will have plenty of thinking to do, enough to keep me occupied and out of trouble. As Ben searches for his place in the world, I’m feeling out the newly re-drawn borders of my role in his life. This is uncharted territory for both of us, but I’m grateful we are exploring it together.
. Ben Lahey is a senior at St. Johnsbury Academy in St. Johnsbury, Vermont.